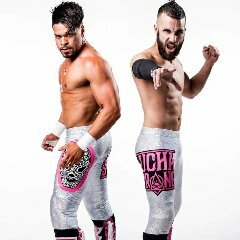 LOS BEN DEJOS (JAY RIOS & JON CRUZ) (ROH/TNA) are now available for bookings as a team or separately. Rios also performs as the masked Oraculo. Both are based in Orlando, FL.